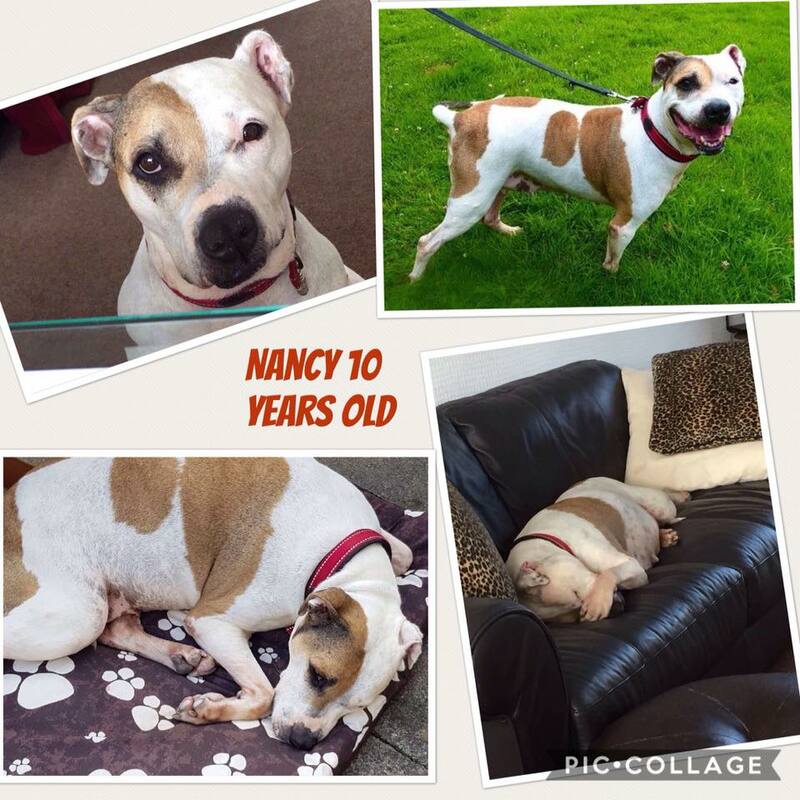 Hi my name is Nancy and I'm an 11 year old crossbreed. I don't look 11 do I? I'm urgently looking for apet and child free foster/forever home, ideally in Scotland or the North of England. Can you help? I'm urgently looking for a nice retirement home where I can be a spoilt princess. I've got a problem with my leg but painkillers help it a bit. I'm looking to start hydrotherapy in the near future to help build some muscle, whatever that is. All of my vet costs will be covered for life by BABS so please don't let that put you off me!